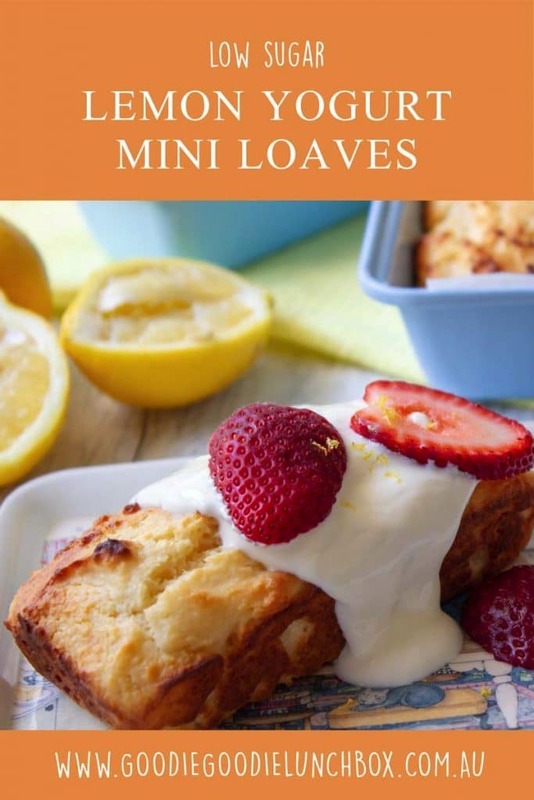 Funnily enough this recipe for Lemon Yogurt Mini Loaves was inspired by our dinners we have been having recently. We have been eating a lot more fish in our house as we are eating less meat. This is a big thing for me as I never really liked fish growing up. So I never really served it. But I am learning to like it – but I have to have lemon with it. Lots of lemon. One night recently we were eating our fish dinner and I had some lemon slices in a bowl. Mr and Miss Two saw me squeezing the lemon on my fish and wanted to try some. I said well you can try them, but it’s a tangy sour taste. So they did try them. The licked the lemon and made those scrunched up, lemony faces. But they didn’t stop at one taste. They kept going, loving our reactions. It was hilarious. I know they kept tasting the lemons because of the response they were getting and they loved to make us laugh. But they did get used to the taste, their reactions became less reflexive and much more dramatic. And it got me thinking of how much we influence our kids tastes by not offering them certain foods that we think they might not like. So this is why I think it is important to offer kids a variety of taste sensations like the lemon in these Lemon Yogurt Mini Loaves. Can’t wait for the recipe? Skip ahead to get the Goodies! 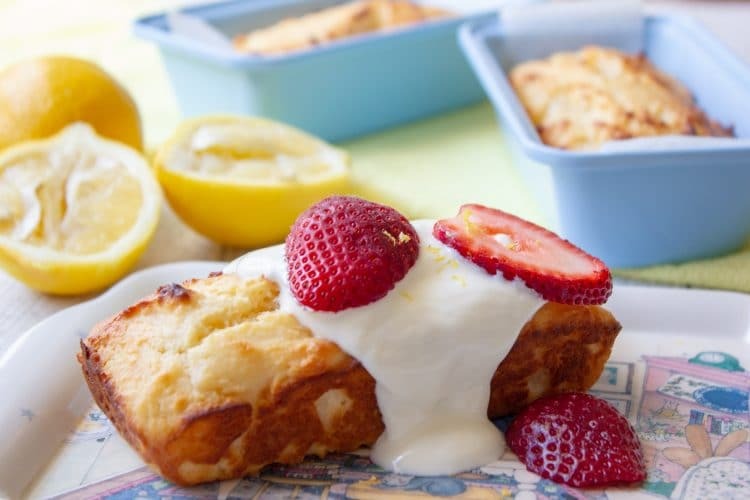 These Lemon Yogurt Mini Loaves are so good. They are so lemony (which is just how I like them) and sweetened only with honey. I first made these with 1/3 cup of honey which makes the bake even more tart and pronounced with lemon. While I enjoyed it I think it might not be to everyone’s tastes so this recipe calls for half a cup of honey, but feel free to reduce if you don’t think you need it. 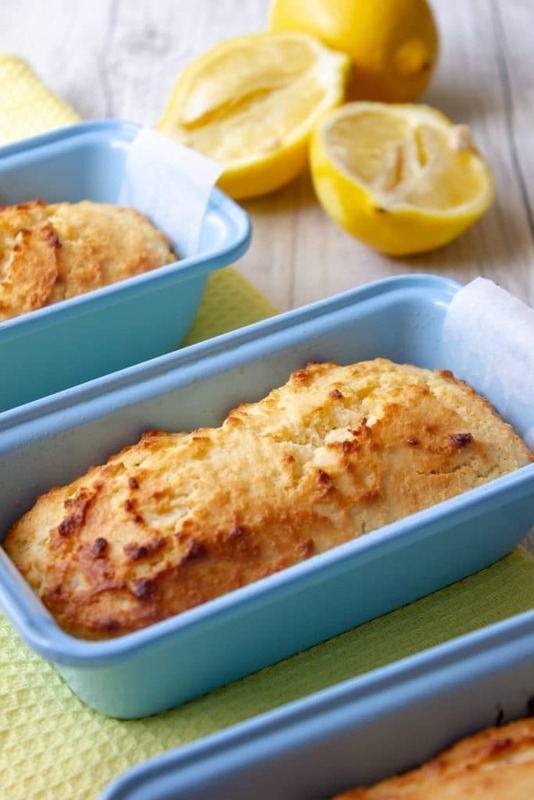 The yogurt adds great moisture to the Lemon Yogurt Mini Loaves and it also makes the mixture light and fluffy. I also love the protein hit the yogurt gives the loaves, which is great for keeping little tummies full. Want to try other recipes that use yogurt? Why not try these delicious Apple Blueberry Pancakes that are sweetened only with fruit or these fabulous Chocolate Chip Muffins with Zucchini. Have you baked with mini loaf tins before? They are so cute aren’t they? I have had them for a while but don’t tend to use them much. 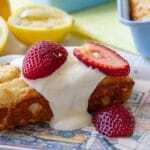 But I really wanted to use them and I think these Lemon Yogurt Mini Loaves are a perfect recipe fit. If you don’t have mini-loaf tins, don’t worry just make these as muffins! 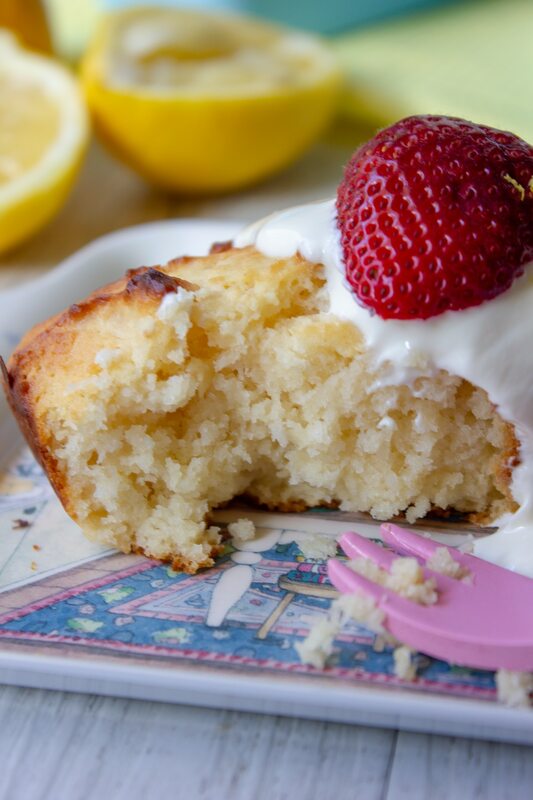 Lemon Yogurt Mini Loaves are delicious and tangy. Great sliced into portions for lunchboxes and pretty enough to hold their own as dessert, drizzled in yogurt and topped with fresh berries. These Lemon Yogurt Mini Loaves are a great way to challenge your kid’s tastebuds and offer new flavours. Remove from the oven and leave in the loaf tin for 5 minutes before transferring to cool on a while rack. If you do not have mini loaf tins, use a muffin tin to make these. The recipe will make around 12 muffins. You can serve these full sized for an adults’ dessert or slice them into portions for the lunchbox. Each loaf can easily be portioned into three or four slices. If you do bake these I would love to see your lovely goodies! Take a pic and come get social with me over on Facebook or Instagram. I’ve just made a batch of these & they smell delicious! Can they be frozen?